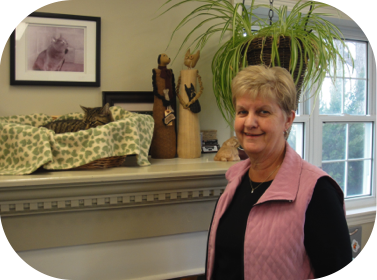 Betty has worked for Stirling Veterinary Services since 1983. She can be found milling around the clinic in the wee hours of the night or at the crack of dawn. As a jack of all trades, she is an great asset. In her spare time she shares herself between family, friends and the greater community. She divides herself between volunteering as a teachers assistant at a local elementary school, baking for friends in need and spending time with her grandchildren.